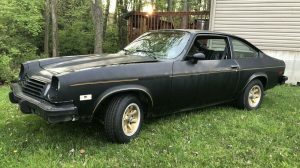 The seller proclaims the car is “RARE” and I agree. This blue 1963 Pontiac Grand Prix is for sale here on craigslist near Pittsburgh, Pennsylvania for $7,500. 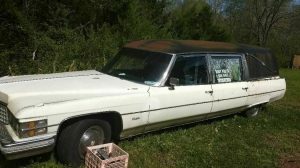 What makes this car “rare”? The engine is the big block 421 CID. 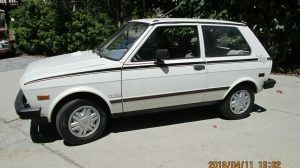 It also has the optional Hurst four-speed transmission. According to conceptcarz, there were only 5,157 Grand Prix cars with a four-speed made in 1963. Fewer yet of these models were ordered with the 421 engine! Pontiac wanted their cars to go fast in a straight line. Add these to the list: bucket seats, factory tach, vacuum gauge, and console. Check this out: it also has power windows! One thing is missing. The car does not ride on the unique 8 lug wheels available in 1963. The condition of this car is good. 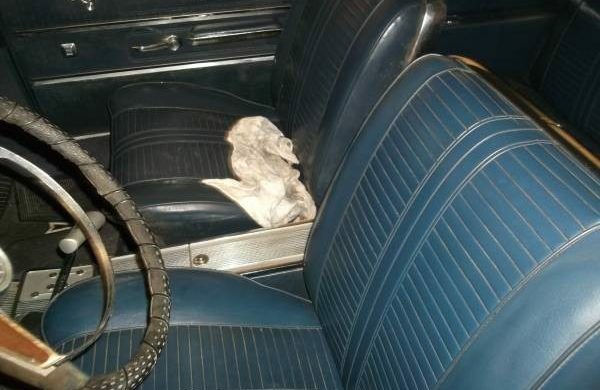 From the pictures posted, the blue interior may just need a good cleaning. Another plus is the car is complete down to even the original jack and spare tire in the trunk. Photos of the engine compartment would have been nice. Being a car from Pennsylvania, rust may be a problem. The inclusion of the Pennsylvania bicentennial license plate adds to the charm of this car. 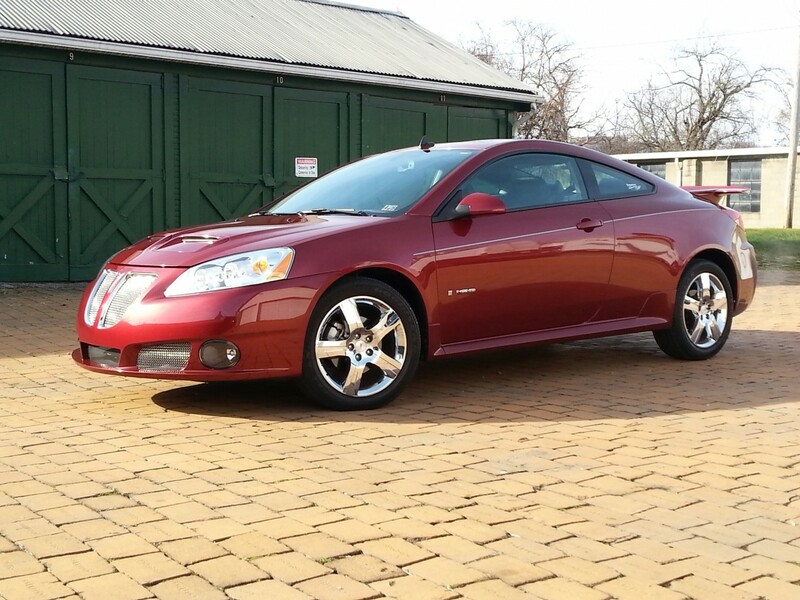 This is the second year Pontiac offered the Grand Prix. I think the asking price is reasonable. The sale price on a fully restored Grand Prix is on the rise. Is this your next project? 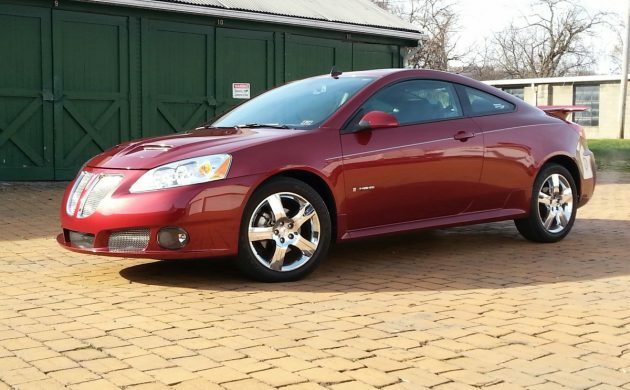 Do you consider owning this Pontiac the Grand Prize (Prix)? Yes…why doesn’t he restore it? I’d love to have it..
Mmm, hmm. True. Anyone who has ever sold a Volvo is nodding vigorously in agreement with your comment right now!. Hey Ben, nice write up. Remember, “Hurst” only refers to the shifter and linkages. The 4-speed transmission was probably a Borg Warner T-10. Why are people so obsessed with the jack and/or spare tire that was never used? That would be on the bottom of the list of things I’m concerned about in a classic car. Grand Prix was bigger than the Tempest/GTO platform. It would not make a good clone, but it could be a big brother/sister. Pontiac never really had a BIG block or a SMALL block engine. All of their V8 engines were based on the 287 cubic inch engine that came out in 1955. By boring & stroking it, they were able to take all the way to 455. Now that’s what I call engineering. See attached for more information. With an oversquare bore of 3.75 inches and stroke of 3.25 inches, the initial displacement was 287 cubic inches, but the generous 4.620-inch bore centers left plenty of room for displacement increases. The engine was soon upsized to 317 cubic inches for 1956, and by 1970 it eventually reached a whopping 455 CID. Unlike the V8s from other carmakers, there is no “small-block” or “big-block” distinction. All Pontiac V8s are based on the original 1955 architecture, regardless of displacement. Wow – I can safely say I learned something new today. You beat me to it! 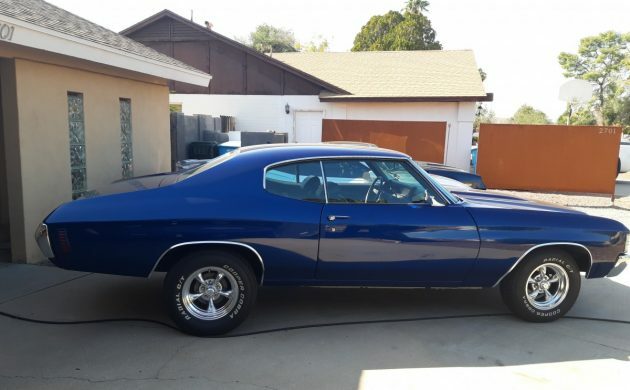 I have a 67 Grand Prix with the 400. Same external dimensions as all other Pontiac V8s! 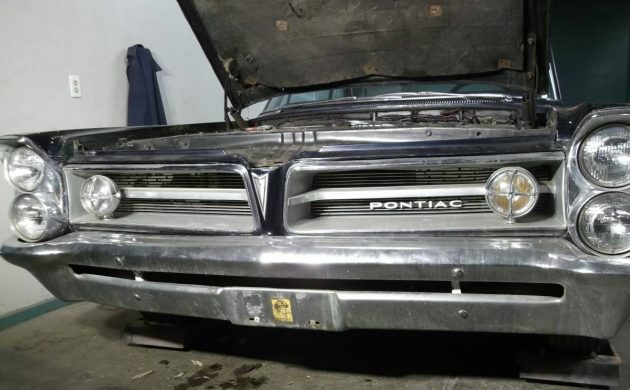 I can only chuckle when folks say “big block” when referring to Pontiac powerplants! 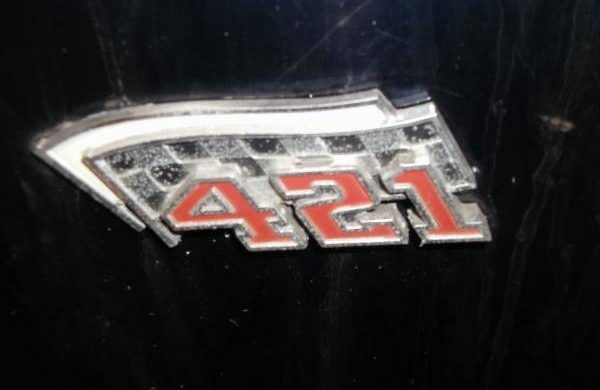 Must be a Chevy moniker, LOL! When it comes to American assembled Pontiacs you are 100% correct. 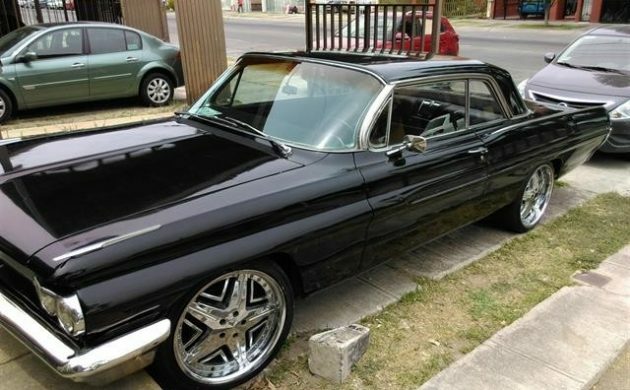 But there is a series of Pontiac vehicles that DID have a small block; the 1960s Canadian built versions were available with the small block Chevrolet, mostly 327 versions. The Canadian Pontiacs were all messed up with the Pontiac & Chevy blending. And if you thought the first V8 Pontiac was 1955, here’s something that might surprise some of you. In 1932, Pontiac put a V8 in their cars. It was actually a leftover Oakland engine. Even as the country fell into the Depression and new-car sales slumped dramatically, Pontiac was still doing relatively well; meanwhile, Oakland sales were falling precipitously. Recognizing that it had a potential winner on its hands, GM management decided to euthanize the ailing Oakland brand, rolling it into Pontiac. This occurred as the ’32 models were rolling out, and consumers were shown the new Pontiac 302-series of V-8 powered cars, which rode on the former Oakland’s 117-inch wheelbase, though displaying new coachwork that maintained the outward cues of the recently restyled 402-series six-cylinder line. This yielded models that were quite regal for a car line intended to deliver value. The V-shaped grille used lots of chrome, emphasized by new free-standing, chromed headlamps that no longer utilized a tie-bar; a pair of chrome horns lent additional style, echoed by a pair of chrome-housing taillamps. The hood sides gained four ventilation doors per side, replacing the more common louvers of the prior year’s model. There were significant engineering advancements as well. The V-8 engine itself, mostly an Oakland carryover, featured a 3 7/16 x 3 3/8 bore and stroke making 251-cu.in. and 5.2:1 compression, using a one-barrel Marvel carburetor for a rating of 85hp. It was unusual in that it utilized a 180-degree, “flat-plane” crankshaft, rather than the 90-degree “cross-plane” design used by Ford and Cadillac; the resulting vibrations were quelled using a block-mounted “vibration suppression synchronizer” that pushed against the engine rhythmically to oppose its rocking motion. 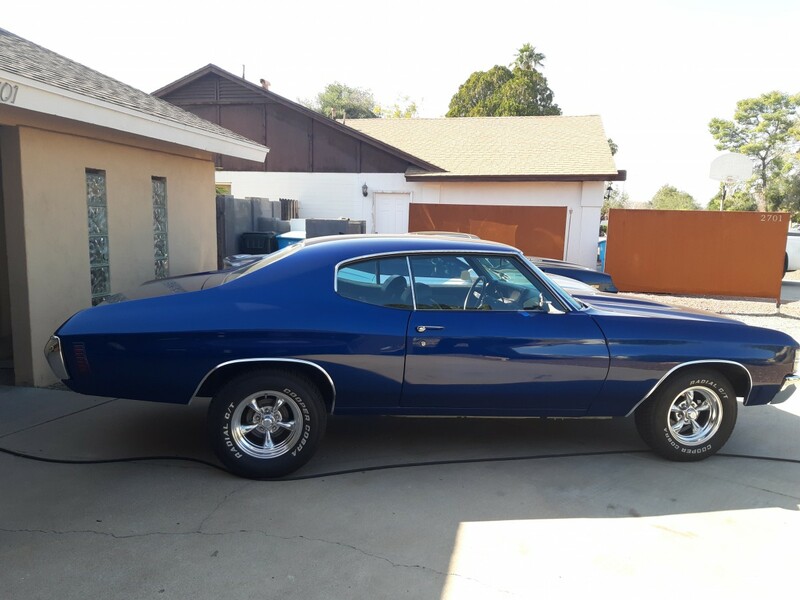 Pontiac also featured new three-speed transmissions with synchronized second and high gears and a “freewheeling” device that enabled coasting when the throttle was released without depressing the clutch. For 1932, Pontiac offered Ride Control: driver-adjustable hydraulic shock absorbers, operated via a knob on the dash that altered internal valving. But the ’32 Pontiacs would soon prove to be short-lived; the series 302 models were in production for only three months. When the ’33 Pontiacs debuted, eight-cylinder models boasted of an all-new straight-eight engine, now enveloped in new coachwork that borrowed many elements from the Chevrolet line. These new Pontiacs continued the trend of positive sales, but history was made with the unique ’32 and its V-8 engine. Maybe if the owner was a little more honest about the condition of the car (rust) he wouldn’t have to be concerned about someone nit-picking the car. The frame appears to be rusted. Checked the link & didn’t find it ! That’s a beautiful car. Back in the early 70’s, my friend’s mother had one like that. Her’s was an auto. Unless there’s a compelling reason to keep it original, upgrade the brakes and suspension and drive it. Wonder how seller knows steering wheel has no cracks, with that leather wrap on it? Oops, there I go nit-picking, my bad! That one shot of the frame looks consistent with Pennsylvania road salt usage, SCARY!!!! Lost my first wife for reasons of health… She got sick of all my cars. Bing, I know this car is a Catalina, but it still looks close. Übercool 62 Cat you found there,IMO Pontiac’s best looking fullsize ever! Steve, I completely agree with you. My first question for him will be if he has the original wheels, if not I will have to find some original steel wheel on Ebay or something. I have to have my cars as original as possible. Did I forget to tell you guys this is a 389 4 speed car from the factory? A cool ride with just about all the right options! 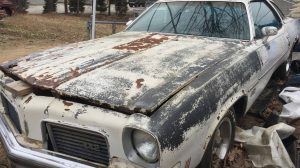 I’m guessing that the seller realised how much rust there is in this particular GP and decided it was better to flick it off and help his cashflow than to make any further investments into it. BUT , HOW’S THE FRAME ??? I own a 63 GP. I think I like that car better than any other. Great driver. 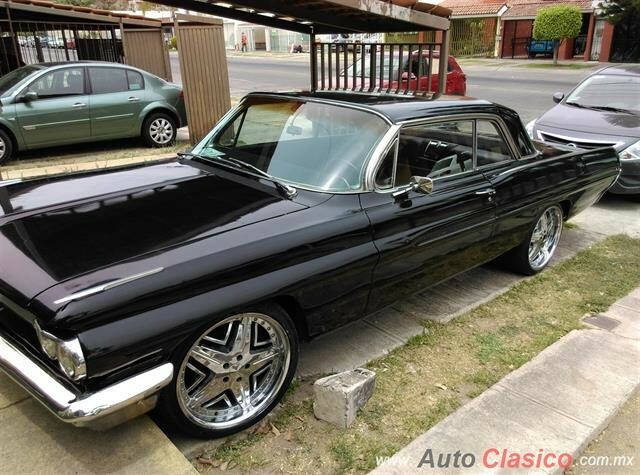 Would love to own this one too, just for the 4 speed. One of the photos shows something very crusty underneath. Pennsylvania has a strict inspection program; in the ’70s, any rust-through on the frame or body would cause a car to fail. A rusty frame would explain why this car was removed from service in 1975. This is a really nice car. If everything is on the up and up, I feel that the price on it is more than reasonable. I hope that someone grabs this little classic up in a hurry. Oldsmobile had 2 different deck heights. Other than deck height ,will 455 bolt in place of 350 and vice versa ? wrong- Olds had true big block and small block, the 330-350-403 was a short deck motor, the 400-425-455 was a tall deck motor. and they all used interchangeable heads.